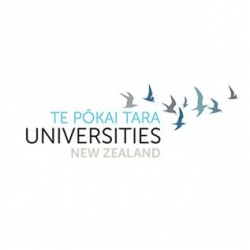 Universities New Zealand - Te Pōkai Tara is the peak body representing universities in New Zealand. It assumes the roles previously held by New Zealand Vice-Chancellors' Committee and the University Grants Committee which were founded in the Universities Act of 1961 which dissolved the University of New Zealand into its constituent institutions. Universities New Zealand control some scholarships and consistent academic grading. It also acts as a vehicle for consortia deals on copyright and other commercial interests and campaigns for better government funding of universities.